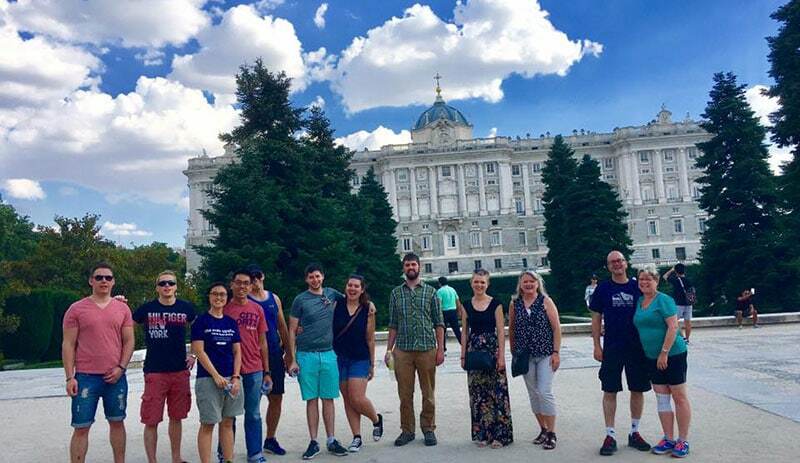 We have the best Madrid City Tour and not just one, we have different routes, but always covering the most exciting areas of the city, also thinking in you and your group, we can adapt this activity in the most comfortable way to get the most out of it. Do you want a Madrid city tour completely private? Then, this is the option. In case you are coming with a large group we’ll divide into smaller groups with a maximun of 25 people per group and per guide. What will you get to see? Depending on the time you want to walk through the city, the minimum time we reccommend is 1 hour 30 minutes and the max. 4 hours, but then you can have a second tour after a break in case you want to continue getting to know Madrid. No matter the time we’ll try our best to organize an itinerary for you and your group, where you can get to know Madrid as much as you can. Madrid is full of history, legends and hidden stories that together with its beautiful streets, buildings and palaces create a unique atmosphere; with this tour you’ll get a better idea about what Madrid used to be like and how it turned into the great city it is today, the best introduction for your group to the Spanish capital is a walking tour. Let us show you the city we know and we are sure you’ll love it as much as we do.